An awful lot of people who want to control exactly what everyone else does with their own bodies have spent a lot of time in recent years trying to defund Planned Parenthood. Why? Because Planned Parenthood provides abortion services. However, a new video reminds us about all the things Planned Parenthood does. They provide abortions, sure; however, they also cover a wide range of important and essential services. They cover them for everyone, too — and a lot of the time, they cover them for people who might not otherwise have access to them. In some ways, it is understandable that when many people think of abortion access, they think of Planned Parenthood. After all, in many parts of the country, Planned Parenthood clinics are the only options for people seeking an abortion, and the organization has been (rightly) unswerving in their commitment to making the full range of reproductive healthcare available to everyone — especially those of us with uteruses. That absolutely includes abortion. However, in the current political climate, there is a tendency to focus only on abortion when talking about Planned Parenthood and ignore the many other vital services these clinics provide. Don't get me wrong — if Planned Parenthood wanted to do nothing but provide abortions in every one of their clinics, I would still be 100 precent behind them as an organization; indeed, as Bustle's Elizabeth King wrote in September of 2015, Planned Parenthood doesn't need to justify its existence with "other services," because abortion is legal in the United States, and access to safe, legal abortion is absolutely a necessity. But pretending that abortion is all they do is ridiculous when you look at the full range of healthcare services they provide. 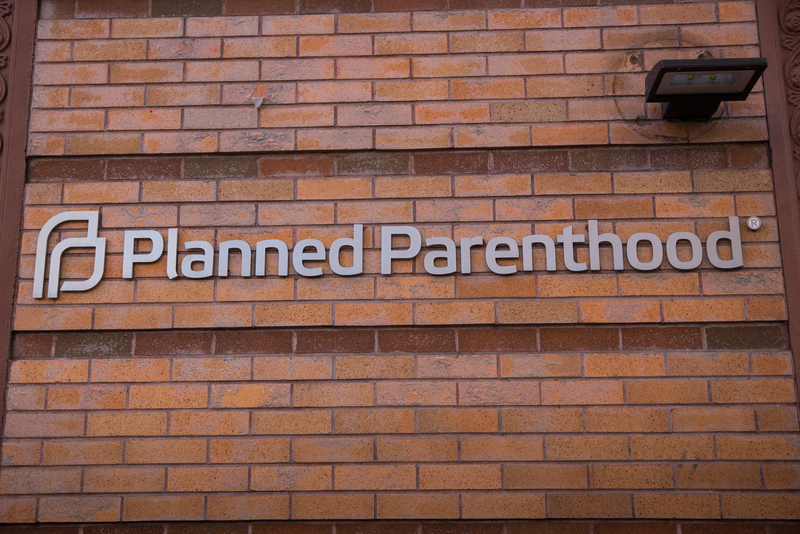 These attacks have threatened not only Planned Parenthood's ability to provide abortion services, but also their ability to provide the full range of medical procedures they offer. Hopefully, ads like this can remind people that the organization is not defined by any single service — and that many Americans rely on them for even the most basic of healthcare. Getting a flu shot, for example, are essential for many people, whether it's because they're around small children a lot or because their immune system is compromised. But without Planned Parenthood and their sliding scale for uninsured or underinsured patients, flu shots would remain out of reach for a large number of people. Correction: A previous version of this post incorrectly described Sandy Rhyneer's profession. Bustle regrets this error.